Indonesia’s Flandy Limpele, South Korea’s Kim Ji Hyun and Park Tae Sang will join up with Pullela Gopichand to work at the national academy in Hyderabad in the coming months. Kim and Park, will be coaching the singles players while Limpele will help Kim Tan Her in coaching the doubles candidates. The 2019 season is going to be an eventful one for the Indian badminton team as the likes of Saina Nehwal, PV Sindhu, Kidambi Srikanth and others will be under pressure to bag wins across various international tournaments. 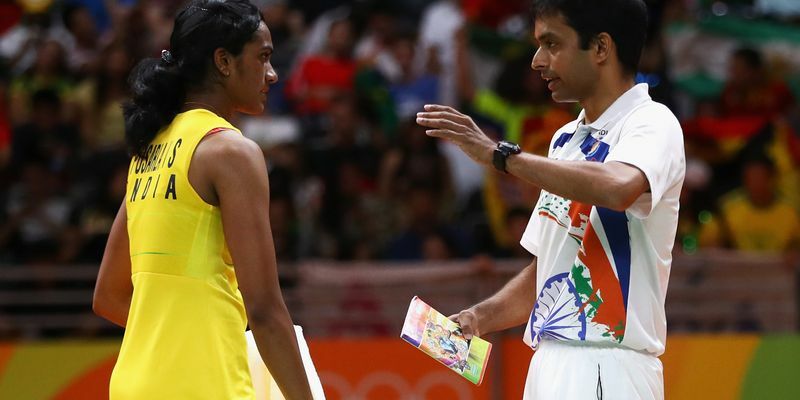 In order to empower national coach Pullela Gopichand and ease the burden on his shoulders, reports have indicated that Badminton Association of India will appoint a host of foreign coaches to assist the Indian in the coming months. A report in the Times of India, revealed that Indonesia’s Flandy Limpele (Athens Olympics bronze medalist, doubles player), South Korea’s Kim Ji Hyun (Olympian, former junior girls singles champion and Asian Games gold medalist) and Park Tae Sang (Olympian) will travel to India within a month’s period and begin training at the national academy in Hyderabad. “All of them are very talented coaches. I am sure our shuttlers will benefit from their knowledge and experience,” Gopichand was quoted as saying. Meanwhile, further reports suggest that apart from Kim Ji Hyun, the other coaches will be contracted by Badminton Association of India and not the Sports Authority of India. The national body’s process to appoint foreign coaches is bound to take time and BAI reportedly doesn’t want to miss out on quality foreign coaches this time by waiting too long. Kim and Park, who have been part of the South Korean coaching staff, will be coaching the singles players while Limpele will assist Kim Tan Her helping out the doubles players. Reports indicate that this move will ease the load on chief national coach Gopichand in a crucial Olympic-qualification year. Previously, Indian shuttlers have not had a foreign coach for singles since Mulyo Handoyo’s left the coaching set-up in 2017. Handoyo, who came on board in February 2017, was given credit in improving the game of various singles players. The Indonesian had brought in a new training regime with shorter training sessions, which helped the Indian players build their stamina.